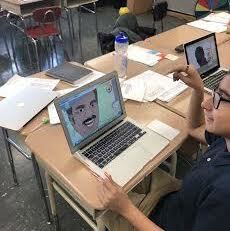 Using digital tools like Sketchbook and digital drawing pads, several dedicated Global Kids students from PS 96 worked during lunch periods and after school to create portraits of significant figures in science for Black History Month. Not only did the students get a chance to learn new digital skills, they are going to be able to show off their artwork on LinkNYC kiosks all across NYC from February 12th to February 19th. ​The project created a unique opportunity for our youth to conduct historical research in a culturally relevant way and to celebrate their work through the displays on the LinkNYC kiosks. The mural project began when my students told me that they wanted to incorporate more art into our DLL program at PS96. I had the idea to use Sketchbook as a creative digital tool, but wasn’t sure what we would do with it. Around the same time, I contacted Intersection, the company behind LinkNYC, to see if we could start a partnership. From that connection, we decided that student digital murals would be a great way to collaborate. We ended up working with LinkNYC and the Department of Information and Technology and Telecommunications. The students were so happy to see the results of their hard work, and it’s been amazing viewing their work displayed all over NYC. 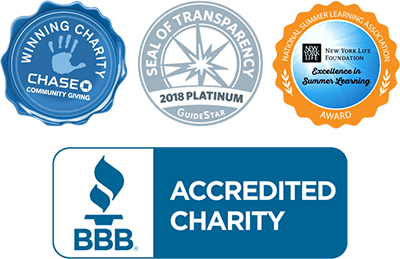 I hope we can partner with Intersection (and companies like them) in the future, so we can continue to help show off the amazingness of our youth.